Debt stress and the workplace. Back in the day, if you were in debt it was rather obvious since you were in prison. These days debt is much easier to hide, so easy in fact, that some people successfully hide their debt from their significant others. But the stress caused by debt problems is harder to contain and has a habit of causing havoc in otherwise stress free areas of your life. It’s known that the stress of debt can cause the breakdown of a relationship but debt stress has been identified as an increasing cause of low employee productivity, lost working hours and reduced innovation. Two areas employee debt stress often presents itself are absenteeism and presenteeism. Anyone who has ever worried about anything can tell you that the minute you close your eyes in bed at night, those worries play out in your mind like a Hollywood blockbuster with dramatic twists and turns. Before you know it, worry turns to downright fear after you’ve pondered every possible scenario then the alarm goes off and it’s time to go to work! Lack of sleep combined with stress can lead to mental exhaustion, physical illness and eventually absenteeism. This absenteeism can become a problem if it occurs regularly and cannot be explained to your employer. Presenteeism is a Human Resources buzz word for being present but not productive. You may think that presenteeism is better than absenteeism but your employer doesn't think so. It’s actually more costly for your employer as presenteeism distracts other employees and can also impact office morale since someone is likely picking up your slack on top of their own work. If your mind is on other things the quality of your work will suffer. Anyone who has ever dealt with their collectors calling at work can tell you that it’s hard to focus on your job when every time the phone rings your heart sinks. I’ve actually spoken to someone who had a debt collector show up at their office. Imagine trying to make sense of your Excel spreadsheet after that. For some employees, their job or professional designations restrict some of the options used for relief from debt problems and the thought of that can cause even more stress since the last thing needed is a loss of income. It’s important to remember that there’s always a way out of debt and we can help no matter what your situation is. 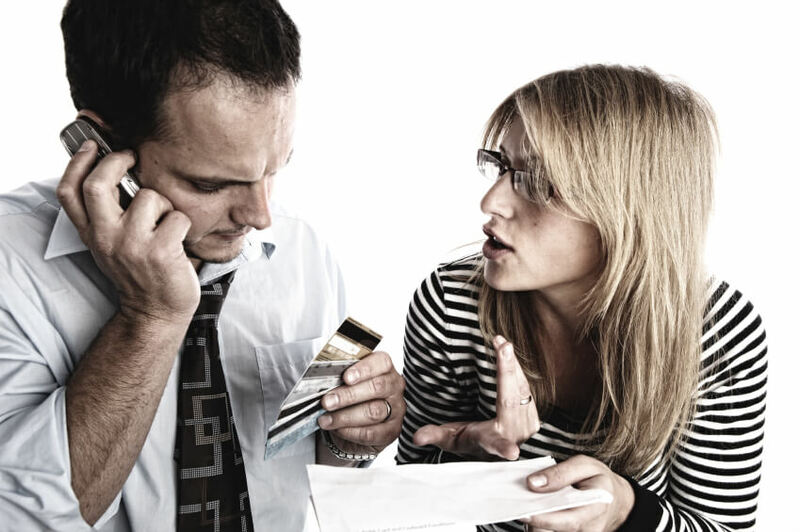 The important thing is to get financial help for your debt problems before they get out of hand. What can you do if you’re a manager who wants to increase productivity? Credit Canada offers credit counselling through employee assistance programs (EAP) which can provide you with literature for communal areas and also offers workshops at your office. Signs that some of your staff may need help with debt stress that cannot be hidden are collection calls to work and notices of Garnishee. A great resource for you if you’re feeling stressed or anxious about your debt or for any reason is ‘The Mood Disorders Association of Ontario’ (MDAO). You can call them for a chat at 1-888-486-8236 or visit their website.